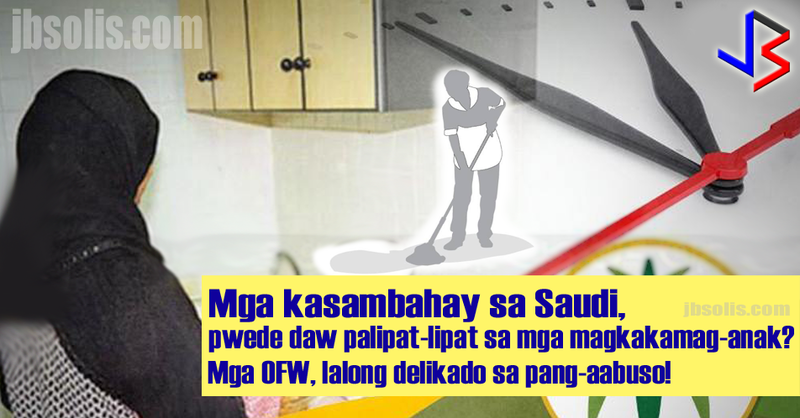 Reports coming in from Saudi Arabia is renewing fears of maltreatment and abuse among Filipino domestic workers and their families back home as mainstream news media have quoted the General Directorate for Passports, locally known as "Jawazat" saying that "Relatives can legally swap housemaids among themselves." It said there are about two million house helps in the Kingdom at present of whom about 62 percent are women. It added that the annual monthly salaries paid to the house helps exceed SR2 billion. 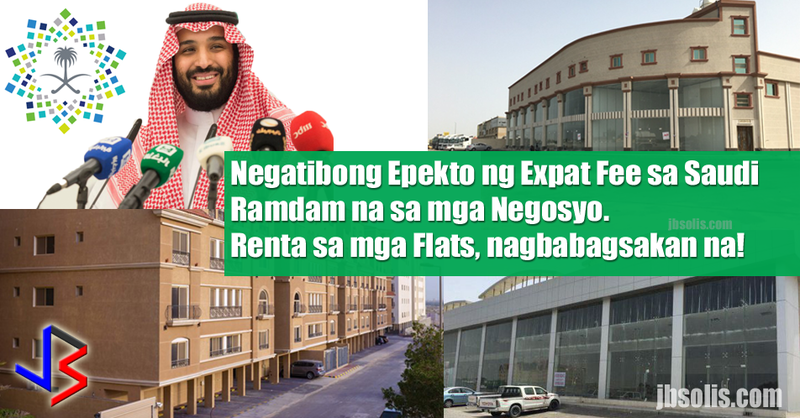 The GDP is also asking employers of household service workers for payment of their fees before granting exit-reentry visas or renewing their working permits called "Iqama" or "Muqeem." These two conditions, increasing fees for employers combined with allowing relatives to swap housemaids legally, is a dangerous mix that increases the risk for abuse. While the statement clearly needs more clarification, as well as inputs from the Ministry of Labor, it sets a dangerous precedent for foreign domestic workers. It may be good to remember that just a few years ago, the Saudi government forged agreements with countries supplying labor force - specifically domestic labor - that aimed to protect domestic workers from abuse. Under Resolution No. 310 or the Household Regulation on Service Workers and Similar Categories, the employer is barred from imposing work on the HSW unless the work has been agreed upon, and provided the work does not substantially differ from the original work. The GDP press statement is clearly in opposition to the statement above. Although it is certainly possible that the "Jawazat" may be conveying a different message - that relatives may re-employ a domestic helper with another relative. This is why, the Ministry of Labor, the body that actually regulates employment in the Kingdom, must clarify the statement. The Kingdom of Saudi Arabia approved the Household Regulation on Service Workers and Similar Categories way back in 2013. While it has not stopped the cases of abuse in the Kingdom, it has certainly reduced incidents of abuse, and provided new rights that helped improve the lives of millions of foreign household service workers there. The employer is barred from imposing work on the HSW unless the work has been agreed upon, and provided the work does not substantially differ from the original work. The employer is also barred from imposing any dangerous work that threatens the health, safety and human dignity of the HSW. The employers must pay the household worker the agreed salary at the end of every month, noting that the payment as well as the benefits should be in cash or cheque to be documented in writing. provide appropriate accommodation to the HSW. not ‘rent out’ the HSW. Other benefits of the HSW under the regulations are a weekly rest day; one month leave after two years of service; paid sick leave of not more than 30 days; health care according to the rules and regulations of Saudi Arabia; and end-of-service benefits equivalent to one-month salary after four years. The regulations provide stiff penalties for both employers and HSWs who violate them. Employers who violated the regulations will be fined 2,000 Saudi riyals and prevented from recruiting HSWs for a year. A second violation merits a 5,000 SAR fine and ban of three years. 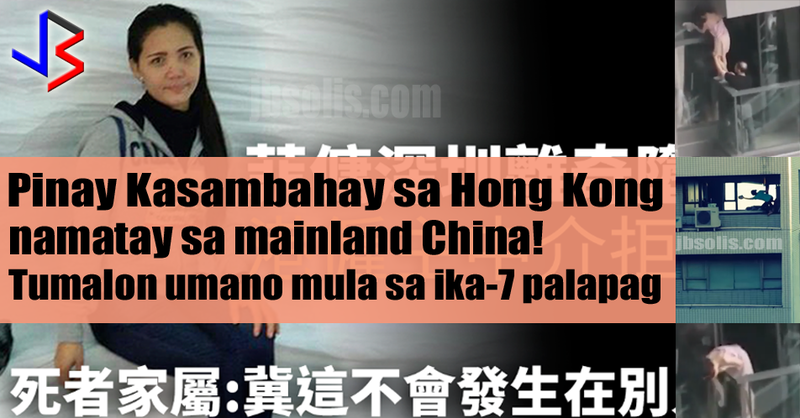 A third violation and the employer will get a lifetime ban from recruiting foreign domestic helper. He will also be fined SAR10,000. respect the Islamic religion and observe Saudi regulations applied in Saudi Arabia; customs and traditions of the Saudi society; and not engage in any activity disadvantageous to the family.